FLESHGOD APOCALYPSE – talk about new single ‘Sugar’ in first “Veleno” album trailer! Italian orchestral-death metal and renaissance revivalists FLESHGOD APOCALYPSE will make their triumphant return this year with the release of their 5th studio album, »Veleno«, on May 24th with Nuclear Blast Records. Now the group has launched the first album trailer, in which they discuss their latest single, ‘Sugar’. Pre-order the album digitally to receive ‘Sugar’ instantly (amazon and iTunes only)! Italian for ‘venom’, »Veleno« marks FLESHGOD APOCALYPSE’s first record in 3 years, since the release of their critically acclaimed record »King« (2016). The ‘metal part’ of »Veleno« was recorded in Rome, Italy at Bloom Recording Studio and Kick Studio with long-standing collaborator Marco Mastrobuono, while the ‘orchestral part’ – the ensembles – were tracked at Musica Teclas Studio in Perugia. The entire production of »Veleno« took, according to Paoli, about three months. Artwork for the album was created by Travis Smith (AVENGED SEVENFOLD, OPETH, KATATONIA). “Today is the day. A first taste of our new album, »Veleno«, is finally available for you all. No words can describe how excited we are and how long we waited for this moment. What you see is the harvest of three years of sweat, revolutions, intense emotions and extreme challenges. We proved ourselves to be stronger than ever, despising compromises, setting the bar higher no matter what. The album is massive to say the least. 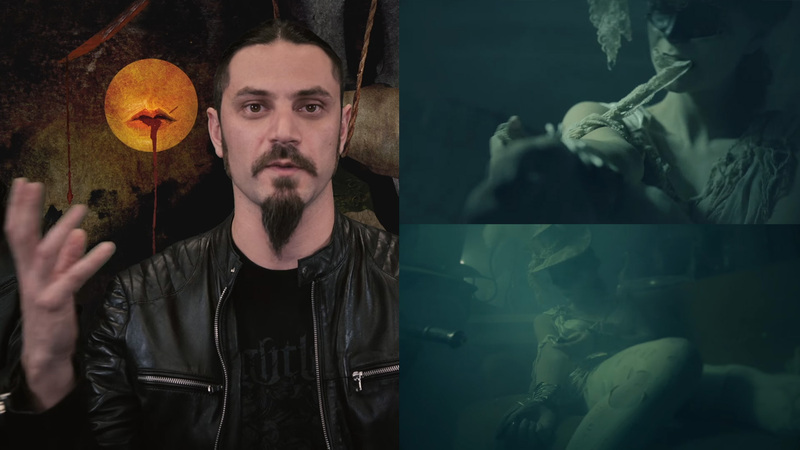 FLESHGOD APOCALYPSE – third studio trailer launched!